Featuring Billy’s signature BC-1™ pickup in the neck, BC-2™ in the bridge and The Chopper™ in the middle, the Billy Corgan prewired pickguard is an easy and dramatic way to modify any guitar with a standard 11-hole pickguard. As a result of the feedback we got from Billy Corgan while working on the sound of his custom Strat®, we modified the Air Norton® S (neck) and the Tone Zone® S (bridge) for a deeper sound from the low strings with no loss of punch, and a cleaner sound with high-gain amps. 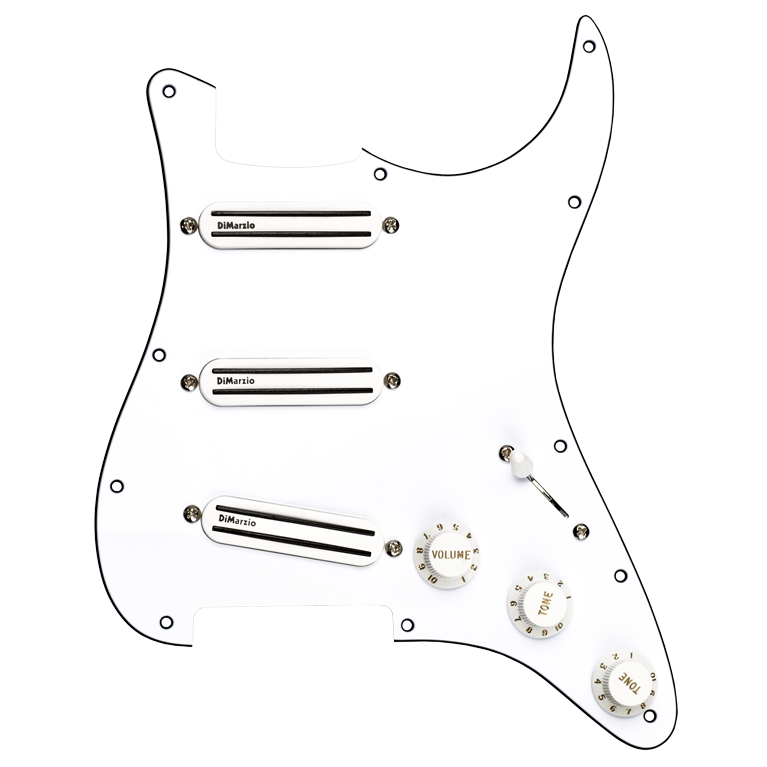 The final result is the pickup set in the BC Prewired Strat Replacement Pickguard, which also includes Billy’s original wiring configuration.